Visit and learn the Cathare History: great drives in the country side and great hikes to the various castles in the mountains. Sailing, white water sports, hiking on foot, on horse or mountain biking... There is something for everyone ! 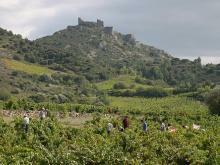 Aude, the Cathar Country, is an ideal place to explore with your bike. 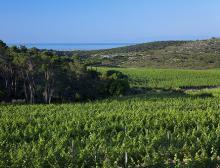 With its mild climate, the infinite variety of its landscapes, its rich heritage and the friendliness of its inhabitants, along proposed routes, you can explore at your leisure our historical, cultural and gastronomic heritage. 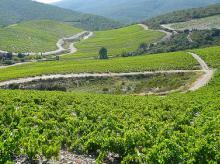 Sports or tourist itineraries, wine trails or Pyrenean passes, whatever your desires, you will find in the Aude. For thrill seekers: canoeing, kayaking, rafting, white water swimming, canyoning ... Aude has a reservoir of white water springing from the Pyrenees and extending to the Aude valley and the coastal lagoons of the Mediterranean where all the activities are possible. In the gorges and canyons there are paths specially adapted to beginners, or to competition training. Many clubs and providers, open all year round, will welcome and mentor you. A 600-metre area located in the heart of the historical village of Campagne sur Aude is an ideal place for catch and release "whipped fly-fishing" enthusiasts. This fly-fishing area was created in May 2005 and inaugurated by the triple French Fly-fishing World Champion, Pascal Cognard during the Festiv'Aude Festival. There is also a secure overhang in this area for disabled people who would like to fish. 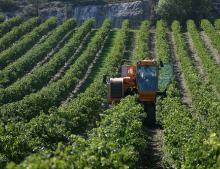 For More info about Aude Wines Click Here.. The Canal du Midi is the work of Pierre-Paul Riquet and excavated in the XVIIth century to link the Atlantic and the Mediterranean. Formerly used for transporting goods and people, is today frequented by numerous boaters and tourists and flows through the centre of the city of Carcassonne. The locks, bridges, aqueducts and canal bridges along the 240 km of the waterway are witness to the technical prowess of its constructors and also a work of art. 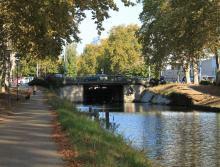 You can go for an easy bike ride or a long walk alongst the canal. 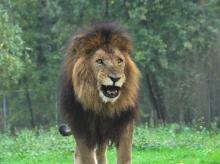 Reserve Africaine de Sigean (Safari Park) more than 3800 animals on 300 hectares !! 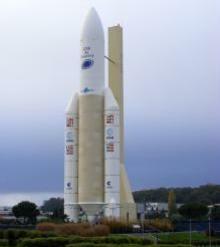 Visit the Aerospace museum in Toulouse with a real Ariane rocket, a Russian Mir space station and a Soyuz spacecraft.